There is a worldwide boom in literary journals and magazines: those pages - on print or on screen - devoted to poetry, fiction, creative non-fiction, essays, and reviews. This surge has been facilitated by the availability of tools to open a shop, so to speak, and start-up an online venue. Pre-internet era magazines have followed suit and currently most print journals have some online presence as well. A search for lit mags in heavily U.S.-based sites like Poets and Writers yields more than one thousand entries. In Singapore, the universe of online literary journals is also expanding. With the exception of Quarterly Literary Review Singapore, or QLRS, launched in 2001, and Softblow, whose first issue was published in 2004, the lit mags currently active in the Lion City have been launched in this decade: Of Zoos (2012), The Eloquent Orifice (2013), Junoesque (2014), We are a Website (2015), and Swag (2016). This list is by no means exhaustive, as there are other magazines targeting specific segments of readership, such as students, or which include substantial amounts of non-literary-related material. Nonetheless, this list encompasses the array of literary options on offer for both readers and writers in Singapore. 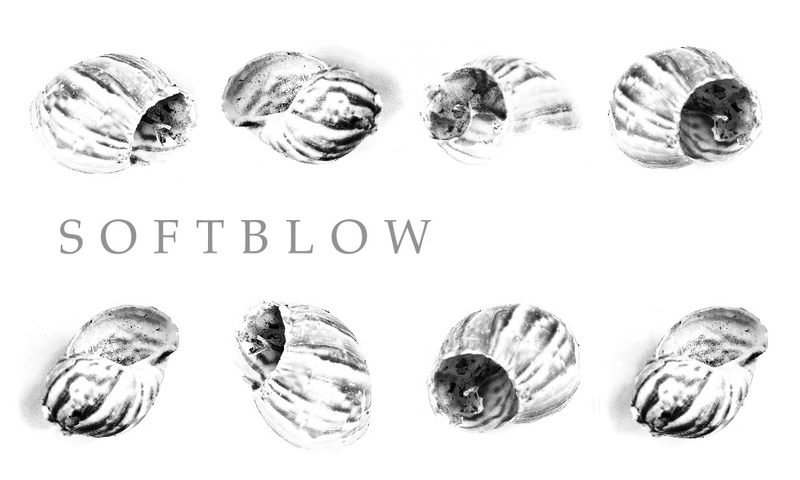 Softblow, issued monthly, is dedicated exclusively to contemporary poetry in all its forms, and publishes poets from all over the world. Created with "unswerving lovers of poetry" in mind, it accepts submissions on a rolling basis. Its latest issue features collaborative works and prose poetry from international authors. “Softblow started in 2004 and the only other web magazine I knew at that time, which started even earlier, was the Quarterly Literary Review Singapore. It's still going strong. The 2nd Rule existed too, but it petered out after putting out many strong issues online. I think whether a magazine survives or not is not really a matter of enforced survival or competition; probably the editor had decided to move on to other priorities and ventures. Even if a literary magazine appeared for only a short while here, it still made a tangible contribution to our literary culture. The webjournal started at The Substation where I worked and while other writerly friends and I were having lunch across the road from the Arts Centre, and I just wondered if there were any webjournals centered solely on contemporary poetry and based in Singapore. Basically, I decided I wanted to start an online space where I could collect and read poems from other poets that I'd love to enjoy in both an enriching and sustained way. My readers are from all over - the States, Canada, Hong Kong, Australia, etc. Notable poets featured include our very own (the late) Arthur Yap, American poets like Jenny Boully and Sherman Alexie, South African author Ingrid de Kok. I was looking for contemporary voices, full of relevance and the occasional inclination to test the limits of what a poem could be. I see myself primarily as a poet, but only because I think the word can be very expansive and inclusive. Even as I write ‘prose’ elsewhere, I never quite see myself as a ‘prose’ artist: everything to me is a poem; sometimes with line-breaks, a plot, character development, but still a poem - just longer or shorter, really. Meet Lucía Damacela: Born and raised in Ecuador, Lucía moved to Singapore with her family in 2013, after many years of living in the US and the UK. A social psychologist and researcher, Lucía also enjoys literature, the visual arts, and their intersections. Acting upon these interests, she became a Friends of the Museums docent at SAM (Singapore Art Museum), and joined writers groups soon after her arrival. Her work has been published - in English and Spanish - in the US, the UK, Spain, Hong Kong and Singapore. Two of her stories have been included in the collections published by the Singapore Writers Group: Rojak in 2014, and Tales of Two Cities in 2016. More information about her literary pursuits is available here. She tweets as @lucyda.